I wasn’t sure what to expect from this book since I’ve never read any from Morgan Matson. I even thought that she is a guy because of her name. Oops. Aside from the lovely and summer feel cover, this book caught my attention because of its high ratings in Goodreads. This is also my second time doing a buddy read with Joyce (Hi be!) and definitely not our last. 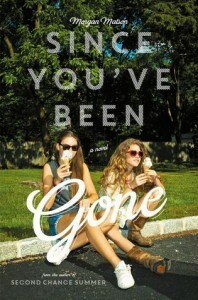 It is summer and Emily is alone without her best friend, Sloane. They’ve planned an exciting summer together but Sloane and her family suddenly disappear. All that’s left for Emily is a to-do list from Sloane. I personally can relate to Emily because I am somehow like her during my teenage years (i think until now). Socially awkward, conscious in front of other people, introvert. She is hoping that the list would lead her to her bestfriend but it never felt like she was forcing herself to do them. Even some of the tasks were terrifying for her, she is still willing to do it and that’s what i admire about her. I wasn’t sure about Sloane at first but the flashbacks made me feel like she is an awesome character and I can say that she is really a true friend to Emily. Just like with Sloane, I didn’t feel anything about Frank but I got to love him throughout the story specially when I’ve learned some of his likes and hobbies. The secondary characters added a lot to the story too. They were all unique and real. Every chapter is interesting and I caught myself smiling alot while reading. The writing style is simple, descriptive and catchy. This book never bored me. Not to mention, the song playlists are cool. I love the ending of this book. I got nervous how things would end when the story began to wind down but the author did a great job of wrapping things up. This book tells us what real friendship means. It talks about taking chances and discovering yourself. It’s winter here but this book gave me summer feelings. Highly recommended!